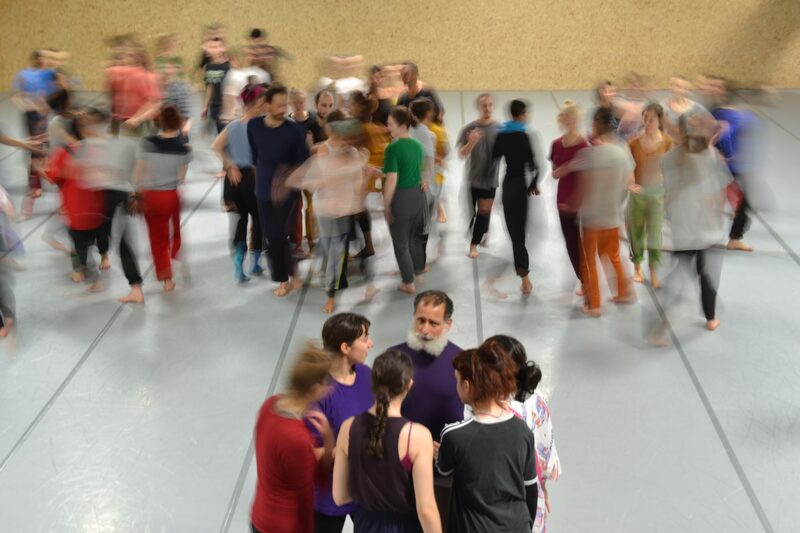 Living legend, David Zambrano turns 60 years old and it’s time for him to fulfil a most intimate dream: he will direct the longest intensive workshop ever organized in his whole life so far. But this is not a Flying Low or Passing Through, but a third love of his life – his passion for improvisation. A 60 day workshop with 60 selected dancers. Participants shall expect no less than reaching the main core of the improvisation practice – exploration of solo and group dynamics, spontaneous composition, the shaping of clear dance material, commitment into the learning-while-doing approach, using one’s life experience to create images coming from each personal universe, the practice of how to perform any time in any mental state, get better understanding of time and space. 40 years of improvisation will be condensed into 10 weeks of whole-hearted transmission and sharing. Dancers will get constant personal feedback from Zambrano, as they learn how to create instant pieces of dance on stage using the group as an audience. This workshop as a matter of fact is not any different from a live performance in itself – an improvised piece over the course of 60 days, performed by 60 dancers, directed by David Zambrano – becoming indeed one of the biggest and sexiest events of the contemporary dance world as we know it. Join us in this unique and artistic journey! David Zambrano has been a monumental figure in the international dance community for more than a quarter of a century, and his passion for cultural exchange continues to influence his work. Zambrano is an ambassador and liaison across many borders, bringing together artists from all over the planet for his projects. He has taught his own approach to dance in more than 70 countries, and has performed at hundreds of venues across the world. His pieces range from set choreography, structured improvisation, and pure improvisation. Born in Venezuela, Zambrano spent 15 years in New York, and now lives in between Amsterdam and Brussels. Dates: September 30th till December 8th (David’s birthday). Everyone, including non-dancers, is encouraged to apply, but performing experience is required. David will personally select 60 artists amongst all candidates. 1. The information announced above is subject to slight changes, which will be communicated to you immediately if made. 2. The Tictac Art Centre team has worked hard in order to organize this workshop and the many tasks that come with it. Serious commitment is expected from all parties involved, including the participants. For this reason 10% of the total price of the workshop is non-refundable in case of cancellation.